Great for Schools, Hotels, Office Parks, Police/Fire Stations & Hospitals! A machine of enormous power and durability. 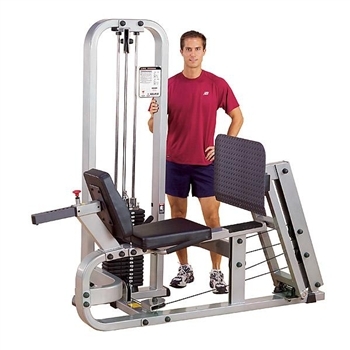 True to Body-Solid tradition, this is no ordinary Leg Press Machine...it uses sophisticated pillow block and sealed ball-bearings for precision alignment and friction-free movement. This allows you to achieve higher performance results. Advanced design reduces spinal compression while allowing full range-of-motion in a natural biomechanical movement. 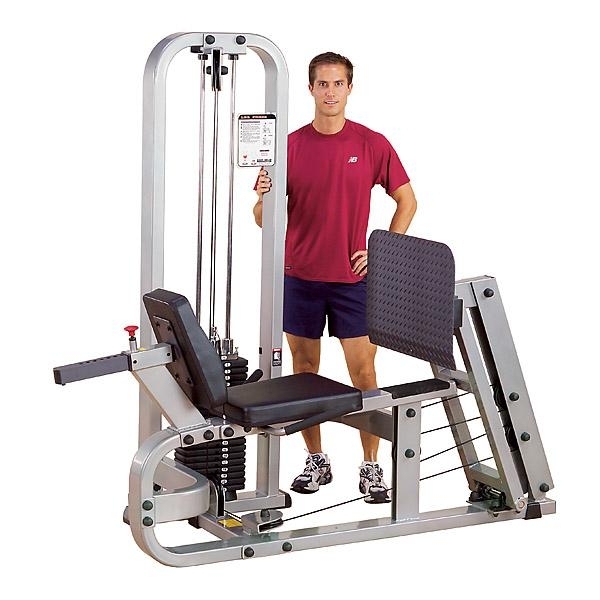 Fully adjustable DuraFirm� back pad with an ergonomically designed two position press plate accommodates all-size users for a complete Leg and Calf workout. For truly enormous muscle capacity, look no further than this machine. It�s designed to last...even under the most strenuous routines. Pads: Extra-Tough, Tear-Resistant DuraFirm� Upholstery is Double-Stitched. Features High Density Top Grade Foam. Body Solid's Exclusive Lifetime, In-Home Warranty Provides 100% Coverage for Every Part, Including Normal Wear Items.